Once that old cement laundry tub is moved out to the garage or side yard, you've got to do something with it. Disposing of any large heavy item may be problematic, depending on your city's rules and regulations and the local garbage company. 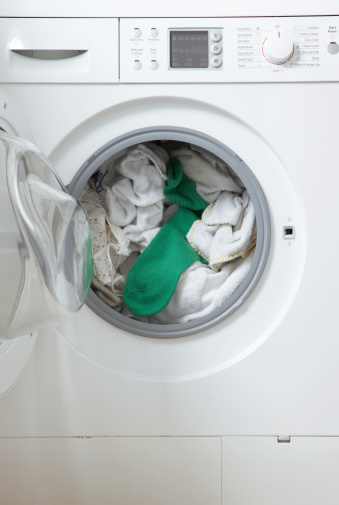 Rather than smashing it into small pieces with a sledgehammer and putting a few chunks in the trash can every week, work out an eco-friendly alternative instead. A sturdy outdoor sink makes cleaning up easy after gardening or doing yard work. Move the laundry sink next to an outdoor faucet. Mount it on a sturdy platform and install a drain to make a handy outdoor sink for dirty jobs including washing pets, barbecue grates or flowerpots. 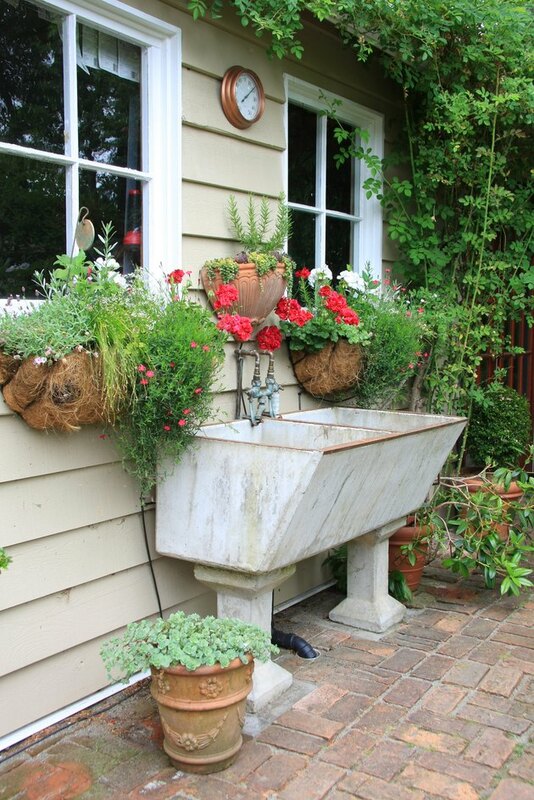 Place the laundry sink in a sunny location and designate it as a large planter for tomatoes or a dwarf fruit tree. A base of four-by-four posts or cinderblocks raises it enough for water to drain from the bottom. A raised planter works well for a mobility-impaired gardener who wants to grow flowers, fruits and vegetables. Plug the drain hole and place the laundry tub in a convenient location. Fill it with water to create an at-grade water garden or small fishpond. A few goldfish, a water lily and an airstone with a pump make a small garden into an oasis. Put the laundry tub in your next yard sale and make a few dollars. Alternately, donate it to a school or church rummage sale and receive a tax deduction. Place a free ad in a local newspaper or online. A remodeler, gardener or fish enthusiast may be looking for an old laundry tub and will happily haul it away. Contact your local garbage company or check its website for information on disposing of large items. Some waste management companies have free drop-off days when you can bring in large, bulky items for disposal. A coupon, photo identification or proof of residence may be necessary. Call the waste management company for a pickup. Some cities provide a monthly or annual service for a free pick-up of large items. There may be a fee; every city and county has different rules and regulations regarding disposal of large items.